Following the successful screen-to-page comic book series DuckTales, Tangled: The Series is IDW Publishing’s latest comic book series inspired by Disney Channel’s animated TV series of the same name, in collaboration with Disney Licensed Publishing, an imprint of Disney Book Group, LLC. Tangled: The Series is now available as an original graphic novel collection titled ‘Adventure is Calling.’ In the novel, Rapunzel will heed the call of adventure with Eugene (FKA Flynn Rider), Pascal, Maximus, and her new friend Cassandra as she finds her way in the kingdom of Corona! But will she be able to be a princess, make her family happy, and also follow her adventurous heart? Featuring stories and art from a variety of talented comic creators, including Scott Peterson (The Jungle Book: The Strength of the Wolf is the Pack), Alessandro Ferrari (Star Wars: Rogue One Graphic Novel Adaptation), Ivan Sharvin (The Circle), and Diogo Saito (Zootopia Comics Collection). Join Rapunzel in these all-new, gorgeously illustrated stories, including one special adaptation of the TV movie “Tangled Before Ever After.” The collection will feature 72 pages for $9.99, available everywhere comics are sold. 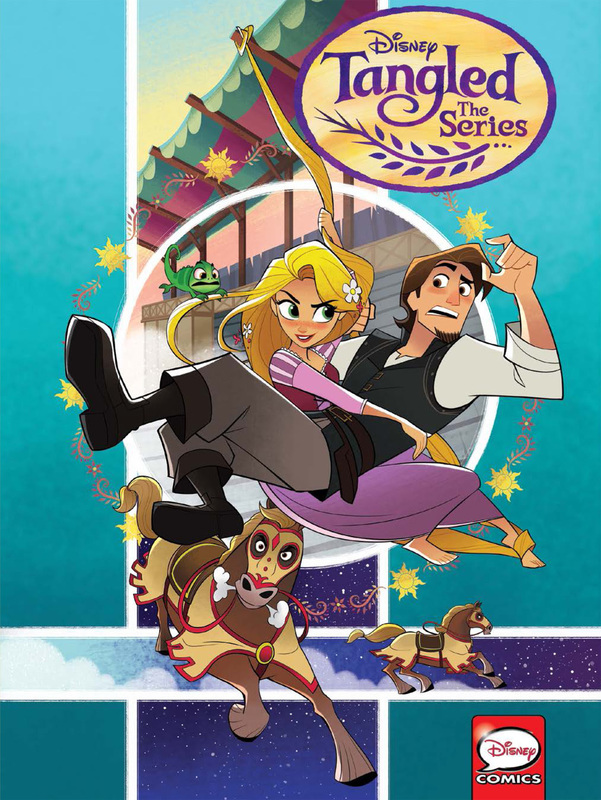 In addition, don’t miss more Tangled: The Series comic books this January for further adventures inspired by the Disney Channel series when Tangled: The Series #1 arrives. Featuring 24 pages of story taking place after the hit movie, the debut issue of this three-issue series will be available at your local comic shop and digitally at the start of the new year.